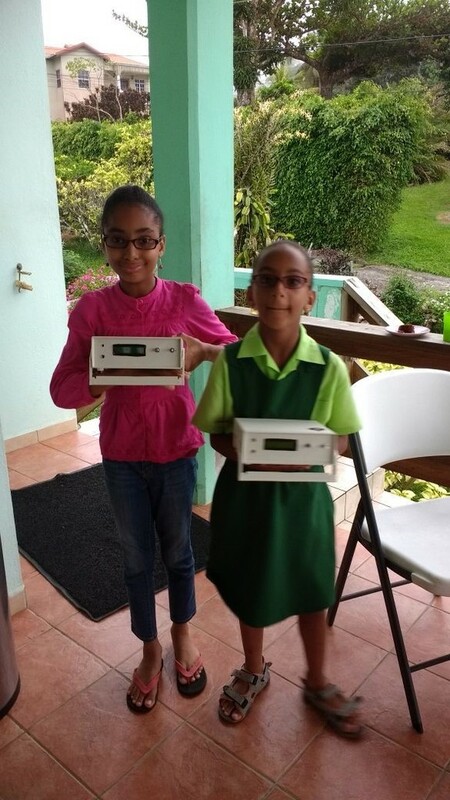 Thanks to my friend Frans J69DS, freshly built uBITx radios were given to two well deserving young ladies on the island of St. Lucia yesterday. They are part of the Youth On The Air (YOTA) movement on J6 and now you can listen for them on their own radios. Getting the radios to them had its challenges but they are very happy to have them! See attached pictures! We have more radios to give away too! Moderator – North American QRO Yahoo Group.